Smoke Hoods save lives! Fire safety hood filters out smoke! Smoke Inhalation Kills; Not Fire!! So Easy To Use Even A Child Can Do It!! 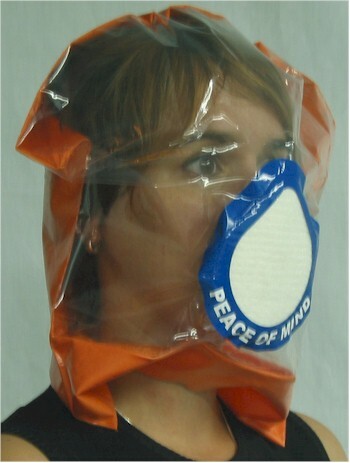 If hood is used in an actual fire escape/rescue situation, the Peace of Mind Escape Hood will be replaced free of charge.